Come join your friends and neighbors at the Columbia City Community Chorus' first concert. The show will be a benefit for Real Change Newspaper in honor of vendor Robert Hansen, who passed away this April. Read here about how Robert's heart and humor touched the lives of so many of us, you probably knew him too! 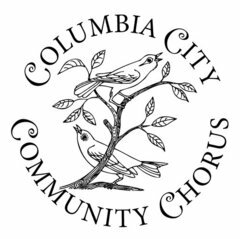 The Columbia City Community Chorus began singing together last October. The group is led by Kathleen Tracy, a Columbia City singer/songwriter, music teacher and choir director. She saw a niche in the neighborhood for a non-auditioned community chorus. I loved the idea of starting a group right here in Columbia City, as a way for people to connect around making music together in a supportive environment, and then taking the music to the street in ways that strengthen the web of community life. Our first show will be a benefit for Real Change, because everybody down here knew Robert. I actually spent quite a lot of time with him last September and October when I was out promoting the Chorus at the Columbia City Farmers Market. It was him and me and all the politicians hanging out chatting people up. The Chorus numbers about 30 singers, both adults and children. At the June 18th concert the group will sing a variety songs and chants from all over the world, along with several original compositions by Kathleen. For more information about the Columbia City Community Chorus, visit www.kathleentracy.com and click on CCC Chorus. The concert was really great. Nice harmonies and tunes. It sounded really rich in the church space. I look forward to the next one!